Quentin Shaw D.O. 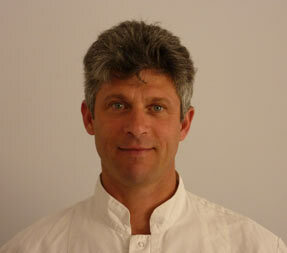 (Principal Osteopath) Quentin Shaw is the principal osteopath at Tunbridge Wells Osteopaths clinic. Quentin is a Classical osteopath. He graduated from the John Wernham College of Classical Osteopathy in 1991. In 1993 Quentin was appointed Vice principal of the college. He had qualified as a teacher and became a senior lecturer in the philosophy, principals and technique of Osteopathy. In 1996 he broke new ground with the relocation of the John Wernham College from Maidstone to Epsom, to offer the first publicly funded degree status Osteopathic medicine course in the UK. In addition to all of the academic developments Quentin practiced for 6 years as an apprentice alongside the college principal – the eldest and one of the most skillfull osteopaths in the world the late John Wernham. This experience has given Quentin a unique and invaluable training enabling him to be successful at treating conditions that are osteopathically challenging and that involve in-depth clinical research. Quentin specialises in spinal problems and is world renowned for his work in treating Symphysis Pubis Dysfunction (SPD) / Pelvic girdle pain (PGP) during or after pregnancy. He has spent years researching spinal and pelvic problems. Currently Quentin has completed o a 4 year post graduate diploma in Bothmer Gymnastics, and is writing a book on the treatment of pelvic girdle pain. Quentin is an exceptionally qualified and experienced osteopath. He strives to address the postural and training issues that create painful symptoms, inflexibility and a range of disabilities. He treats the whole body in order to improve all aspects of health. His pioneering understanding defines his exceptional results.